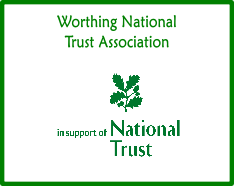 The Association’s roots go back to 1973 with the formation of the Southdown Association drawn from members of the National Trust in the area bounded by Littlehampton and Brighton and the Downs behind. Large membership numbers rapidly led to the establishment of more local groups, of which Worthing is one, drawing its members mainly from the area between the Arun and Adur rivers and associated downlands. For 40 years, membership of our Association was limited to members of National Trust or National Trust for Scotland. However, following an amendment to the constitution in 2014 we are pleased to be able to welcome everyone with an interest in the enjoyment and preservation of historic properties.